Twenty Siouxland organizations will co-sponsor Entrepalooza, a ten day celebration of entrepreneurial spirit in Siouxland. The celebration will kick off at 6:30 p.m. Monday, February 13 with a presentation, “Today’s Entrepreneur – The Story of Two Finches,” by Debra Laughlin, with Leah Roe, both of healthfinch.com. Hear two entrepreneurs talk about how entrepreneurship has changed over the years. The event will be hosted in the St. Francis Center on Briar Cliff’s campus. This event is organized by Briar Cliff’s Enactus team and sponsored by the Siouxland Economic Development Corporation. It is free and open to the public. For Tuesday, a new program has been added to Entrepalooza, Love a Local. Similar to Small Business Saturday, Love a Local encourages Siouxland shoppers to buy their Valentine’s Day gift from a locally owned business. They can then take a selfie of themselves and post it on the Love a Local Facebook page for a chance to win $100. The small business where the winner’s purchase was made will also win $100. It begins February 4 and ends on Valentine’s Day. The small business must be located in Plymouth, Woodbury or Monona counties in Iowa; Union County in South Dakota; and Dakota County in Nebraska. Rules of the promotion are found on the Facebook page https://www.facebook.com/SiouxlandSmallBusiness/. Love a Local is co-sponsored by America’s SBDC Iowa at Western Iowa Tech Community College and Briar Cliff University’s Enactus team. The following night, Wednesday, February 15, a Consulting Fair will take place at Western Iowa Tech Community College in the Advanced Sciences Building L416-417. The Fair begins at 6:30 p.m. and will provide free advice to small businesses from business experts. The Small Business Development Center and SCORE sponsor this event. On Thursday, February 16, a series of events will be hosted at the Sioux City Public Musuem. At 3 p.m. Innovation Grow, presented by Briar Cliff’s Enactus Team, will enable students participating in an Entrepreneurship class from the three Sioux City Community Schools to pitch their business ideas to Sioux City Growth Organization (SCGO) judges. The judges will make a decision and the winning business receives $200 from Briar Cliff’s Enactus team. At 5 p.m. the Innovation Market, sponsored by SCGO, will follow. Entrepreneurs and business leaders are invited to attend the event. For this one, young professionals are encouraged to submit business ideas that will benefit Siouxland. Innovation Market is a venue for entrepreneurs to showcase their ideas for businesses, community events and non-profits. To submit ideas, visit www.siouxcitygo.com. On Monday, February 23 Entrepalooza heads to ISU Design West for the Education Summit. From 4:30 p.m. to 5:30 p.m., the “Creating Young Entrepreneurs and Innovators” event will be to encourage entrepreneurship, innovation and STEM education in the area schools. Brian Waller, president of the Technology Association of Iowa will share his ideas on how this might be accomplished. A question and answer session will follow. Interested teachers, principals, superintendents and parents are invited to this event. This is sponsored by Briar Cliff’s Enactus team. Then, beginning at 7:30 p.m. on Tuesday, February 21 a speed networking event will be hosted at Springboard Co-working in downtown Sioux City. This event, hosted by Morningside College’s Entrepreneurship Group, is a great opportunity for business leaders and students to network. Entrepalooza makes a stop in Le Mars on Wednesday, February 22 for Ice Cream Cocktails and Biz Tales. 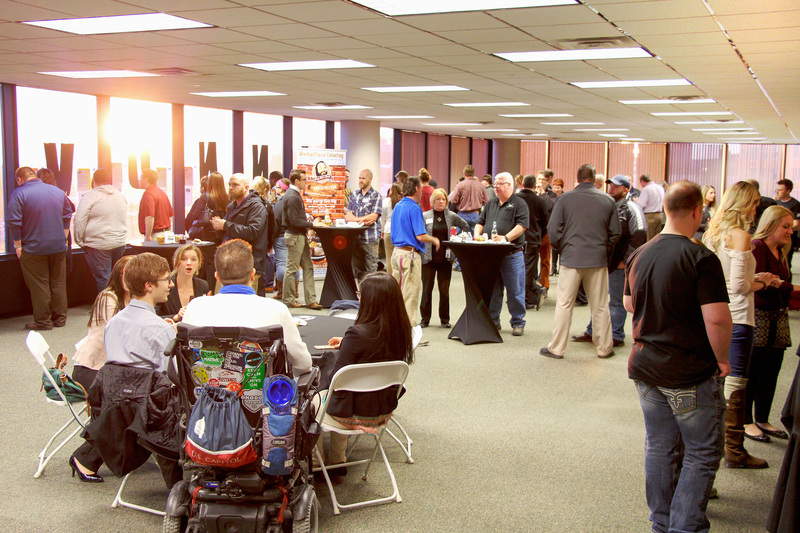 From 6 p.m. to 8 p.m. at P’s Pizza House, attendees will have a chance to network and brain-pick fellow entrepreneurs from Siouxland while treating yourself to ice cream cocktails in the Ice Cream Capital of the World®. Entrepalooza continues on Thursday, February 23. Briar Cliff’s Enactus team will host the annual “Swimming with the Sharks” competition. Presentations and judging for the contest will begin at 6:30 pm at Briar Cliff’s St. Francis Center. Finalists will vie for mini-grants valued up to $4,000. Contest prize money will be provided by Siouxland Economic Development Corporation and area economic development offices. For contest rules and applications, visit briarcliff.edu/sharks. Applications for grants are open now and end on February 8. On Friday, March 3, the South Sioux City Chamber of Commerce Coffee Hour, taking place from 9:30 a.m. – 10:30 a.m. will be hosted by Northeast Community College’s Enactus Group. The coffee hour will focus on the 5th Grade Jump Start Market. It takes place at the College Center in South Sioux City. The public will be able to purchase products created by the students. Entrepalooza partners include: Briar Cliff University Enactus, Siouxland Economic Development Corporation, Small Business Development Center, SCORE, Sioux City Growth Organization, Northeast Community College, Morningside College, Western Iowa Tech Community College, Springboard Co-working, Siouxland Chamber of Commerce, South Sioux City Chamber of Commerce, Sioux City Economic Development, South Sioux City Economic Development, North Sioux City Economic Development, and Woodbury County Rural Economic Development, LegitDesigns, Startup Sioux City, Le Mars Chamber of Commerce, Sioux City Community Schools and Iowa’s West Coast Initiative. For more information on any of the events above, visit briarcliff.edu/entrepalooza.